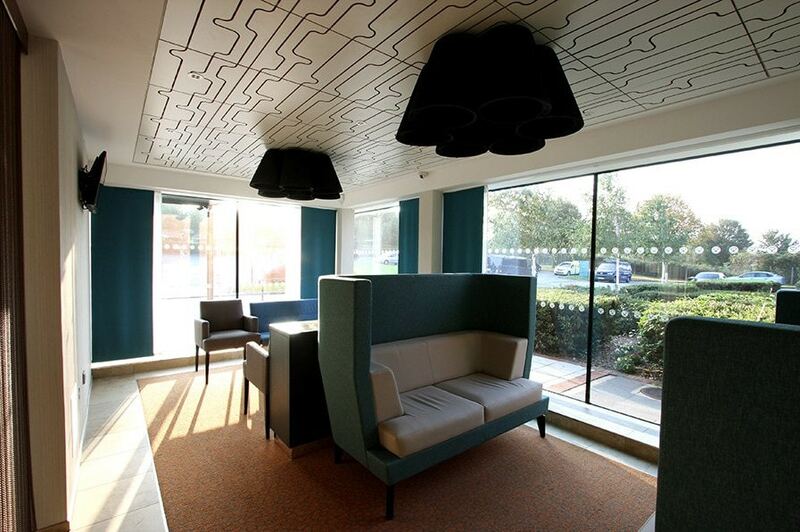 Projects designed and installed all the specialist architectural glazing to Spire Roding Hospital in Essex in their redesign and update of the entrance area. The entrance lobby of the hospital was afforded a new structural glass canopy covering and protecting the frameless glass entrance doors. This glass canopy was fully created by the designers at IQ Projects, designing and constructing the slim steel supporting metal works as well as the structural glass beams and canopy above. This complex structural glass canopy included a unique fixing design connecting the glass beams to the structural glass canopy above. A structural glass wall surrounds the front of the new entrance space, wraps around a 90° concern using a glass to glass frameless corner connection and then runs down the side of the new welcome and seating area. Natural light is a proven component of good health and wellbeing and promotes healing. Hospitals take these environmental factors on board and institutions like Spire Roding Hospital are being to include large areas of glass to their building design, creating internal spaces filled with natural light. 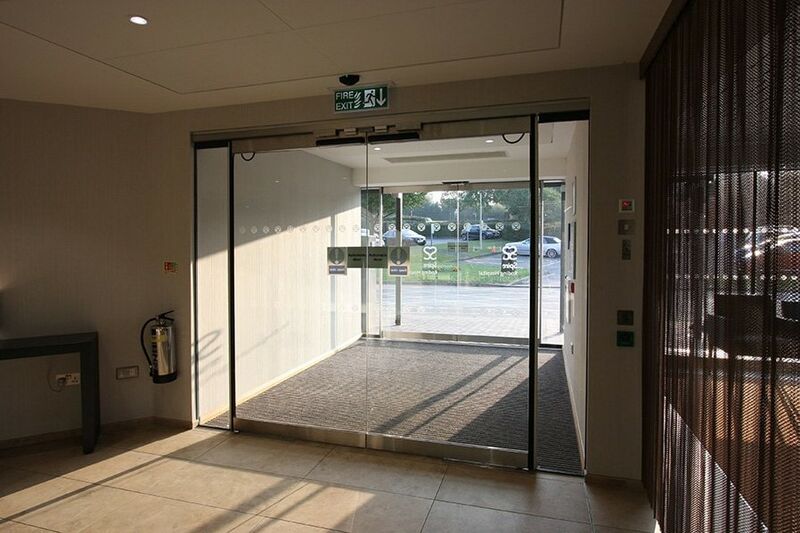 Automatic frameless glass doors act as the entrance and exit access to the new glass atrium powered by electric openers at the head. Even the new reception desk with a decorative sandblasted glass finish and impressive blue lighting. For an even more impressive first appearance, you could use specialised LED glass to recreate this type of effect.